Brindavan Garden, originally uploaded by abgpt. 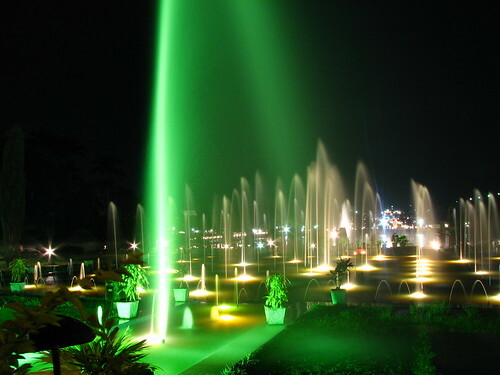 Brindavan Garden (near Mysore in Karnataka, India) is amazingly awe-inspiring specially in the night. This photo is of the colourful fountains which are an integral part of the beautiful garden, taken at aperture f/5.6, 10 sec shutter speed and 6 mm focal length by my Canon S3 IS. This entry was posted in Uncategorized and tagged Entertainment, fountain, garden, India, mysore, Travel. Bookmark the permalink.